Today is the anniversary of Pope John XXIII’s landmark encyclical on peace, “Pacem in terris”. In 2013, in celebration of the 50th anniversary of the document, we created a special webpage with links to numerous resources to mark the anniversary. For the next week, that page will be live again on our website and can be accessed by clicking here. Below we offer the 50th anniversary address delivered by Pope Francis in October 2013 at a conference hosted by the Pontifical Council for Justice and Peace. The oldest among us remember well the time of the encyclical Pacem in Terris. It was the height of the so-called “Cold War.” At the end of 1962, humanity was on the brink of a global atomic conflict, and the Pope raised a dramatic and heartbroken appeal for peace, addressing in this way all those who had the responsibility of power. He said: “With their hand on their conscience, let them hear the anguished cry that from all points of the earth, from innocent children to the elderly, from persons to communities, rises to heaven: peace, peace!” (Radio message, October 25, 1962). It was a cry to men, but it was also a prayer addressed to Heaven. The dialogue that began laboriously then between the great opposing blocs led, during the Pontificate of another Blessed — John Paul II — to the surmounting of that phase and to the opening of spaces of freedom and dialogue. The seeds of peace sowed by Blessed John XXIII bore fruits. Yet, despite the fact that walls and barriers have fallen, the world continues to have need of peace and the appeal of Pacem in terris remains intensely timely. But what is the foundation for building peace? Pacem in terris reminds everyone what it is: it consists in the divine origin of man, of society and of authority itself, which commits individuals, families, different social groups and states to live relations of justice and solidarity. Hence, it is the task of all men to build peace, following the example of Jesus Christ, through these two paths: to promote and practice justice, with truth and love; to contribute, each one according to his/her possibilities, to integral human development, in keeping with the logic of solidarity. Looking at our present-day reality, I wonder if we have understood this lesson of Pacem in terris. I wonder if the words justice and solidarity are only in our dictionary or if we all work to make them a reality. Blessed John XXIII’s encyclical reminds us clearly that there cannot be true peace and harmony if we do not work for a more just and solidaristic society, if we do not overcome egoisms, individualisms, group interests, and this at all levels. Let’s move somewhat ahead. What are the consequences of recalling the divine origin of man, of society and of authority itself? Pacem in terris focuses on a basic consequence: the value of the person, the dignity of every human being, to be promoted, respected and protected always. And it is not only the principal civil and political rights that must be guaranteed, affirms Blessed John XXIII, but each one must also be offered the possibility of accessing effectively the essential means of subsistence – food, water, house, health care, education and the possibility of forming and supporting a family. These are the objectives that have absolute priority in national and international action and are a measure of goodness. On them depends a lasting peace for all. And it is also important that room be given to that rich gamut of associations and intermediate bodies that, in the logic of subsidiarity and in the spirit of solidarity, pursue such objectives. The encyclical certainly affirms objectives and elements which have now been acquired by our way of thinking, but we must ask ourselves: am I really in this reality? After fifty years, do they find confirmation in the development of our societies? 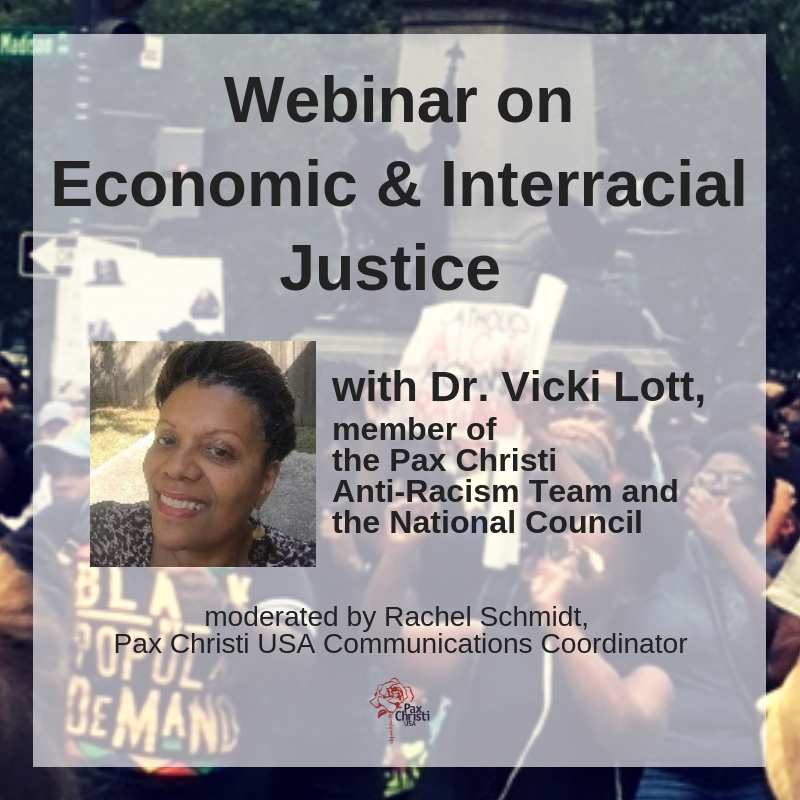 Pacem in terris did not intend to state that it is the task of the Church to give concrete pointers on subjects that, in their complexity, must be left to free discussion. On political, economic and social matters it is not for dogma to indicate the practical solutions, but rather for dialogue, listening, patience, respect for the other, sincerity and also willingness to rethink one’s own opinion. Fundamentally, John XXIII’s appeal for peace in 1962 sought to orient the international debate in keeping with these virtues. The fundamental principles of Pacem in terris can guide fruitfully the study and discussion on the “res novae” that concern your congress: the educational emergency, the influence of the mass media on consciences, access to the resources of the earth, the good and evil use of the results of biological research, the arms race and the national and international security measures. The global economic crisis, which is a grave symptom of the lack of respect for man and for the truth with which decisions are taken on the part of Governments and citizens, say it clearly. Pacem in terris traces a line that goes from the peace to be built in the heart of men to a rethinking of our model of development and action at all levels, so that our world is a world of peace. I wonder if we are ready to accept the invitation. Speaking of peace, speaking of the inhuman global economic crisis, which is a grave symptom of the lack of respect for man, I cannot but remember with great sorrow the numerous victims of the umpteenth tragic shipwreck which occurred today offshore of Lampedusa. The word shame comes to me! It is a disgrace! Let us pray together for those who have lost their lives: men, women, children, for the relatives and for all refugees. Let us unite our efforts so that similar tragedies are not repeated! Only the determined collaboration of all can help to prevent them. 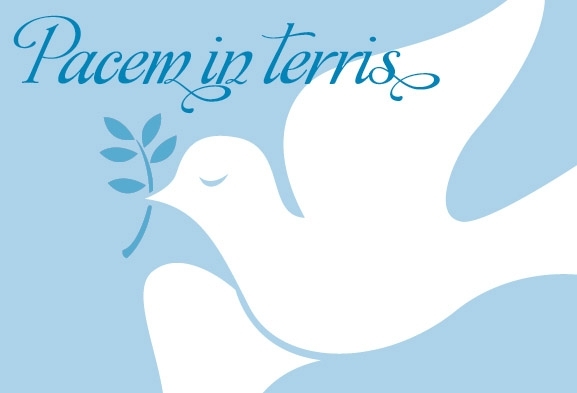 For more on Pacem in terris, click here.